I am Jørn O.H. 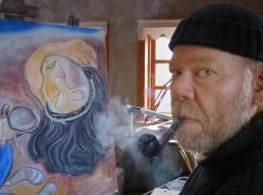 Bork, nordic sculptor and painter, born in Denmark 1949. For 26 years i have lived in two small sealer-communities in Greenland named Attu on the west coast and Ittoqqortoormiit (Scoresbysund) on the east coast. My art is mainly inspired by inuit myths and legends. I do oilpaintings, crayon drawings and sculptures made of different kinds of stone, wood, animal tooth and bones. I have had several exhibitions at international acknowledged galleries in Copenhagen and Aarhus, Denmark, I am a member of the Danish Art Society. State Foundation of Art and the Goverment of Greenland. Notice that some of my work are on private hands. Please do not hesitate to contact me for more information about my work. 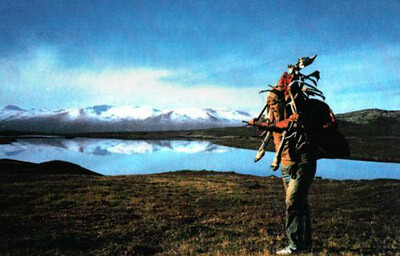 Deerhunting near Nordre Strømfjord in 1994 (private photo). 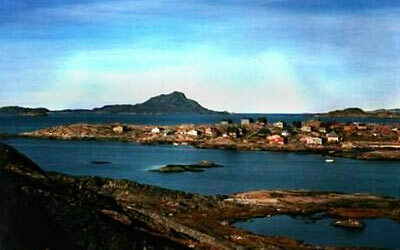 The sealer-community Attu at the west coast of Greenland where I lived for 19 years – before moving to Ittoqqortoormiit. Raw meat from the muskox is delicious! (private photo). 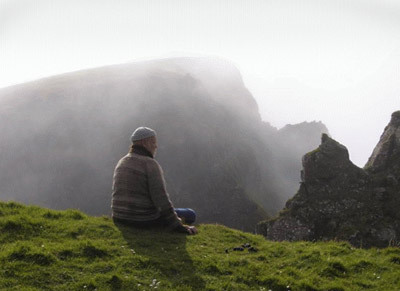 View at the North-Atlanctic from the birdrocks at Sumba on Suduroy, the Faroes Islands, fall 2005. 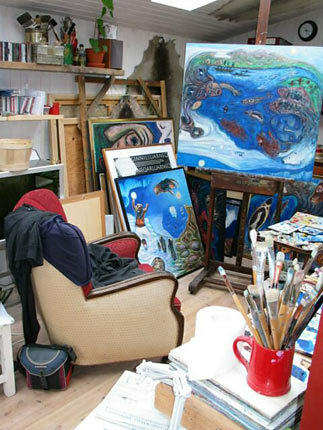 My studio in the garden alotments of Sølyst, Århus. 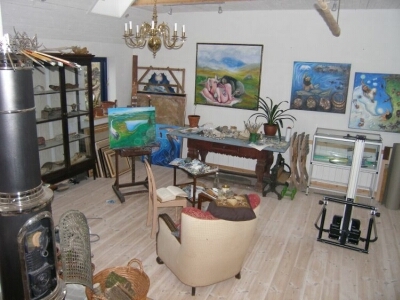 Our bigger studio at the Danish island of Mors. The address is Baldevænget 12, 7950 Erslev, Mors, Denmark.